Welcome to the Great Uni GameJam. 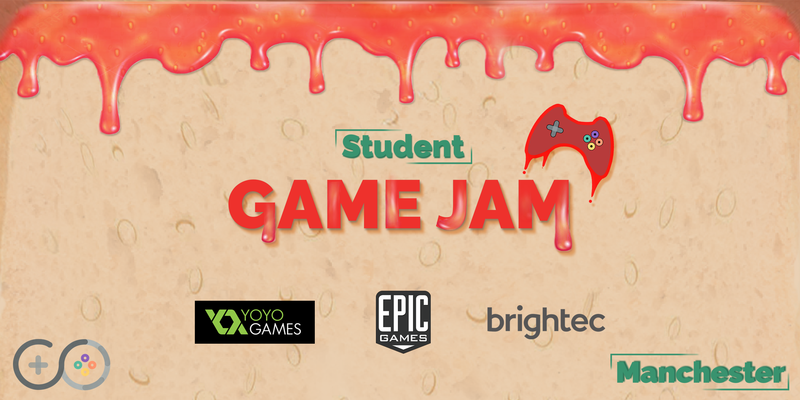 Come join us for the UoM Game Dev Society’s biggest event of the year, Student Game Jam: Manchester! Come along with your very own team (up to 4) to compete in the 12 hour competition of game making mayhem to try claim the top prizes. Note: You don't need any game development or programming experience! Q. Do I have to have experience developing games? A. No, we welcome all participants. Experience or no experience. This is a great chance for anyone to learn about developing games. Q. Do I need to know programming/coding? A. No, as long as you can contribute something to the development process, whether that be art/design/story/ideas, you are welcome to enter. Q. Can I enter alone? A. Yes, you can enter by yourself. We will also have facilities for forming teams on the day for those who don't have one but wish to work as a group. You may also take advantage of our CrowdForge to look for teams before the event, simply create a team or join one! Q. How many people are allowed in a team? A. You can enter as a team of up to 4 members. Q. I don't know where to start! A. We recommend you check out some basic game development guides on the internet prior to the Jam, and we will also be providing resource packs to all attendees. We will also be providing temporary GameMaker licenses for use during the event. It is a great beginner game development engine so make sure to take advantage. Q. Do I have to use GameMaker? A. No! You are free to use any engine/language/tool you wish to use. A. All you need is a laptop (don't forget your charger!). Wi-Fi will be available at the venue. A. Yes, we will provide free snacks as well as 2 free meals. If you have any dietary issues please e-mail us at: gamedev@hacksoc.com and we will do our best to accommodate you. Q. What if I have a question that wasn't answered here? A. Contact us at gamedev@hacksoc.com and we will do our best to answer. Enrol in courses and pay off student debt! Fight as a magical being trying to earn a scholarship to magic uni. it is great game. Alt+F4 to close.